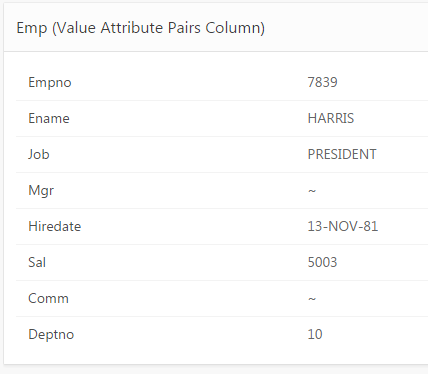 If you have one record where you want to display multiple columns of information, the 'Value Attribute Pairs - column' report template is pretty nifty. Some of the packaged applications use this within the breadcrumb bar, above a region display selector, and it looks really tidy. 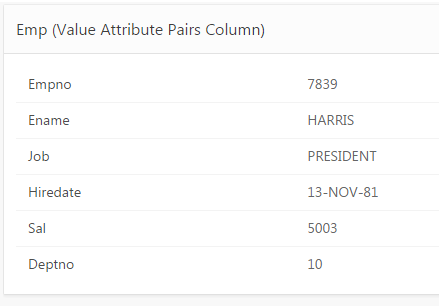 Note, I've modified region attribute setting 'Show null values as' to a tilde (~). 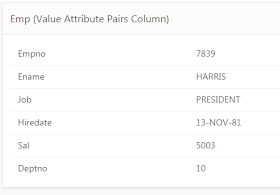 But what if I wanted to hide those null values for Mgr & Comm, similar to the 'show nulls' option within single row view of Interactive Reports? Create an 'after refresh' dynamic action on the region. Conveniently, this is the default when doing so via the Page Designer. Save, then refresh your page. Done. 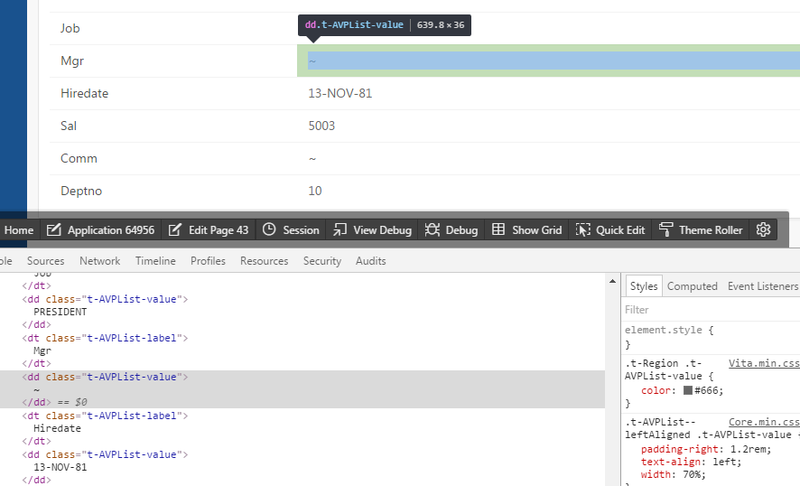 The dd.t-AVPList-value is a selector for the Universal Theme. 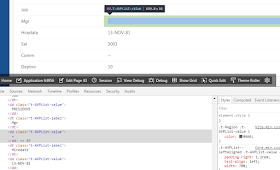 It uses a different class in other themes, so you would have to investigate using Inspect Element browser tool to check. That's thinking with my jQuery hat. 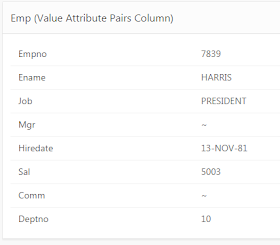 I have a new post in the works that uses a SQL solution - no post-render tinkering. Other than that... it works great. I wasn't clear, and I'll correct that because your description isn't quite right either. I've also drafted a SQL solution to this problem - on render instead of post-render, a better outcome.